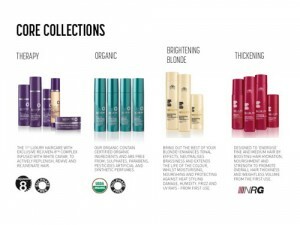 Conceived in salon, rather than in a laboratory, label.m formulations are where art collides with science. Launched in 2005, label.m is an award winning fashion-inspired hair care range developed by professional stylists under the creative eye of a dynamic international artistic team led by Toni Mascolo & Sacha Mascolo-Tarbuck. With 15 distinctive products, the current label.m collection incorporates 68 products categorized into a simple 4C system: Cleanse, Condition, Create and Complete, which allow for creativity and individuality in your style. Amazing effects can be created with this product line which includes shampoos, conditioners, styling aids, and even an organic hair care line.